The Theatre of Open-Hearted is a socially important humanitarian project. Its initiators aim at developing a permanent art-therapy centre. The Theatre of Open-Hearted is intended as a base for social adaptation and creative interaction between people with limited capabilities and society. 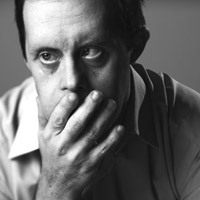 The prospective development plan of the Theatre includes creation of joint plays, consulting services, promotion of art-therapy methods in Russia and CIS, tours, information and dissemination activities, publishing, creation of a TV programme devoted to the life of mentally disabled people in the society, uniting of various professionals to provide mentally disabled people with most effective assistance, and invitation of leading specialists in therapeutic pedagogy to develop new art therapy methodology for people with mental disabilities. 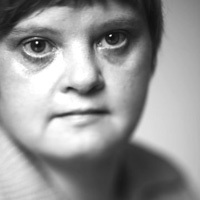 Is a professional theatre and movie actor who has extensive experience of working with mentally disabled children. In 1998-99, he headed the staging of вЂњThumbelinaвЂќ by H. Andersen. 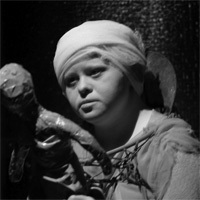 The work on the play and the opening night took place in the health centre Oka in the Moscow region. 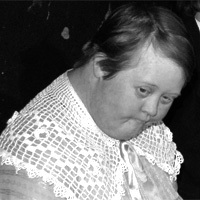 The work was highly estimated by experts specializing on children suffering from the Down syndrome. In 1999, Mr. Neupokoev created a laboratory theatre, which was later named the Theatre of the Open-Hearted. As of now, 17 children with the Down syndrome study at this studio. 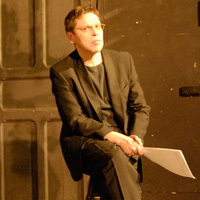 In a tough situation when the performance premiere was facing cancellation, Sergei turned into playing the major role of Captain Kopeikin, that he continues to successfully play nowadays. Sergei played one of the major roles in the film of “Starukhi (Old Wives)” and together with director G.Sidoroff won the grand prix of Cinemataurus film festival in Sochi — the Golden Rose. In tough conditions of a cinema expedition in a lost village of Kostroma Sergei appeared to be the most disciplined and the most patient actor. The international association of ”Silviscs” has included Sergei into their list of 11 Most Famous People of the Planet with Disabilities. 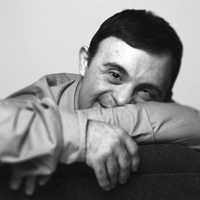 Once acted as an artist’’s model in a Rauf Mamedoff’’s project, plays piano and flute and solely acts in performances organized by the Association of the Down Syndrome. 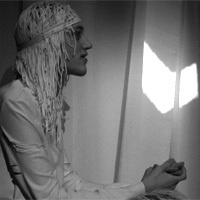 Dmitry writes lyrical and patriotic poems and enjoys reading everything connected with the last Russian Emperor. Plays several roles in the performance of ”Prikhodite… Zavtra (Come… Tomorrow)” each of which reveals his brilliant and exploding energy. Ruslan knows all of the performance by heart and unlike some other actors is never late for his plays. Considers music to be her passion; Maria plays flute, currently is learning English, travels a lot, takes interest in equestrian sport and folklore, dances a sole Gipsy dance in Association of Down Syndrome concerts. Plays the famous Alenka in the radio show of ”House 7, Entrance 4” (an Independent Radio Fund production) broadcasted by the ”Russia” radio station. Helen met many famous Moscow actors while working for the show and currently she visits many performances that her friends act in; nonetheless, she considers her work in the Theater of Open Hearted to be her number one priority in life as at the present time she is vigorously rehearsing a major role in a new performance. Helen has recently moved into new apartments with her mother, and even when she recalls that to be her most cares Helen considers the Theater of Open Hearted to be her true home, just where her drama talent has been realized. Is the youngest actor in the theater, but the fastest to learn the texts of any volume. Anton likes fishing and loves his two cats; enjoys gardening and cultivating flowers; helps his mom with the country house, especially in respect with the garden and the rosary. Once participated in a Rauf Mamedoff’’s art-project, plays flute and likes having friends for another delicious dinner at home. Helen dreams of opening a ”Dom Prostoduchnikh (House of Open-Hearted)” cafe in Moscow where together with her friends she could have guests during the day and give performances and act in Theater of Open-Hearted productions at night.